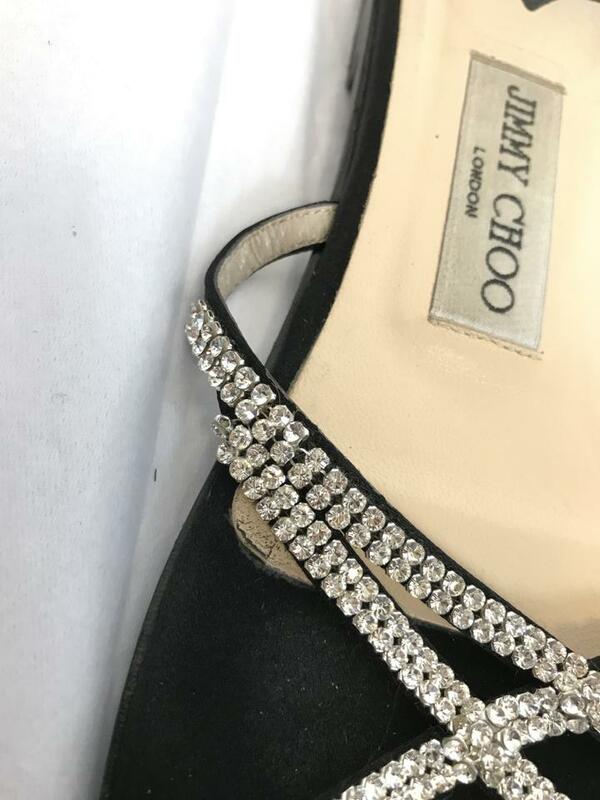 Looks like there are two crystals missing in one of the shoes at the. 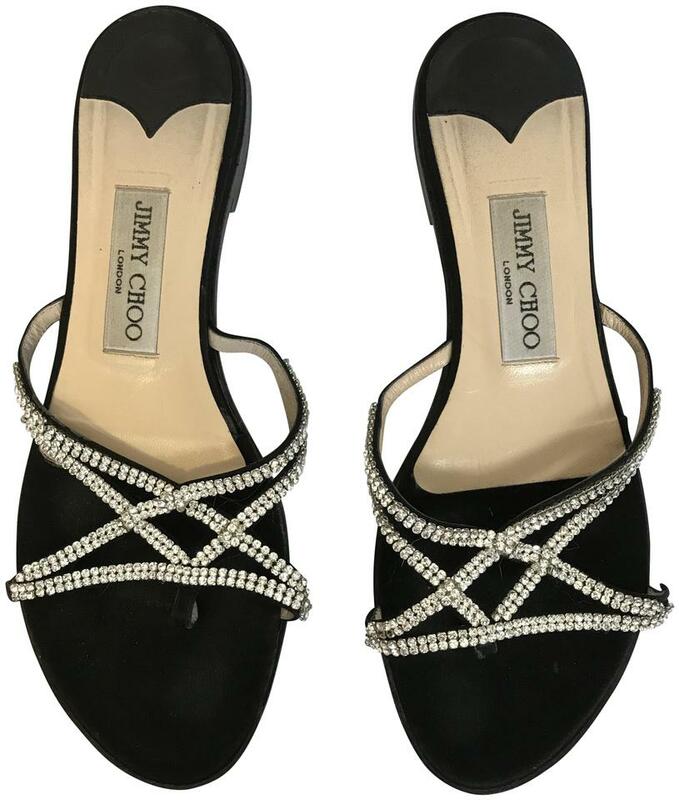 Jimmy Choo Size 38 1/2 EU Sandals. 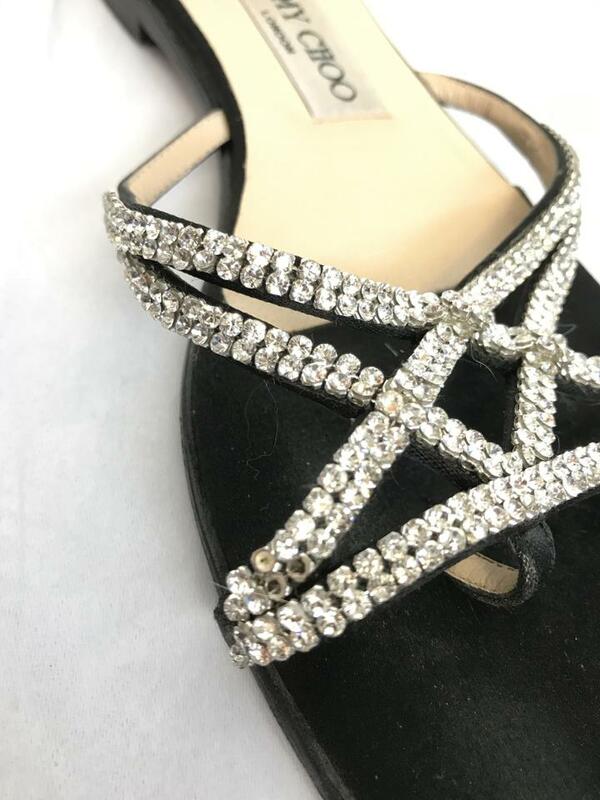 Satin Souls with rhinestones. 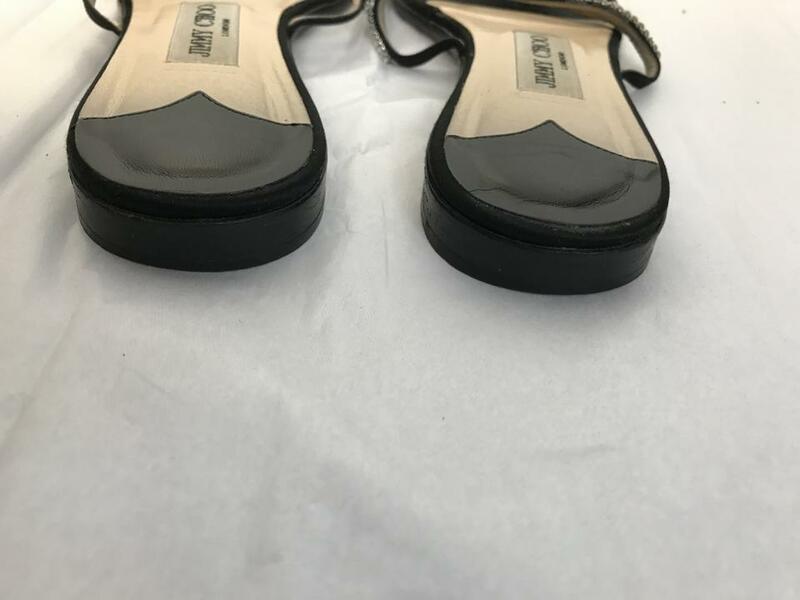 Slip on flat heel sandals. 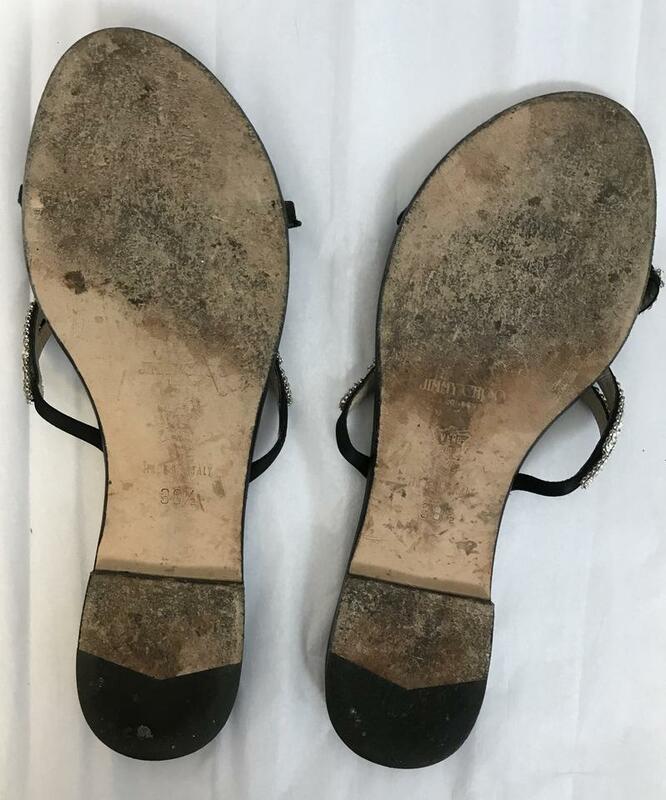 Shoes are in great condition. Perfect for a wedding or formal occassion.